Talking Tom cat is noisy celebrated his Birthday and now he needed to get his lawn was the same as before the holiday. The sooner he does, the faster you can go to a friend's bike. 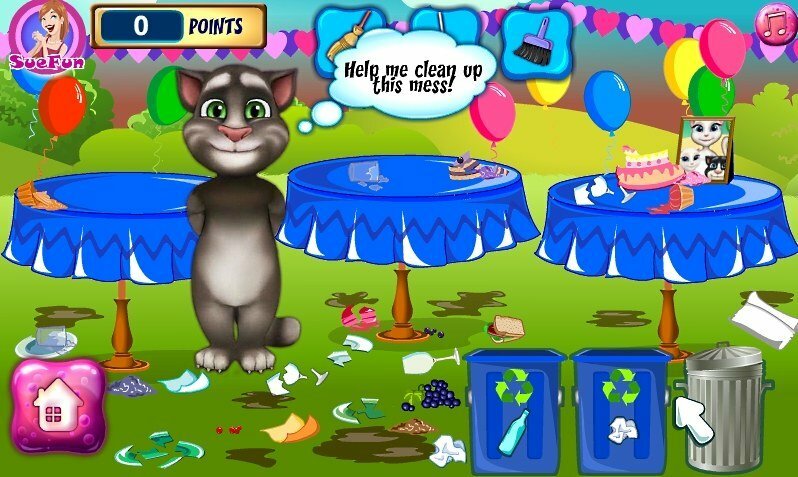 Help him to deal with the debris and make clearing cleaner. How to play: look at how much garbage was left after a fun party in honor of the Birthday of Tom cat. It seems that this holiday was very noisy and cheerful. Let's get the trash. Click on the square icons at the top of the game and use a broom, mop and brush for the purpose. Played: 25929. Added: 17-11-2015, 17:05. 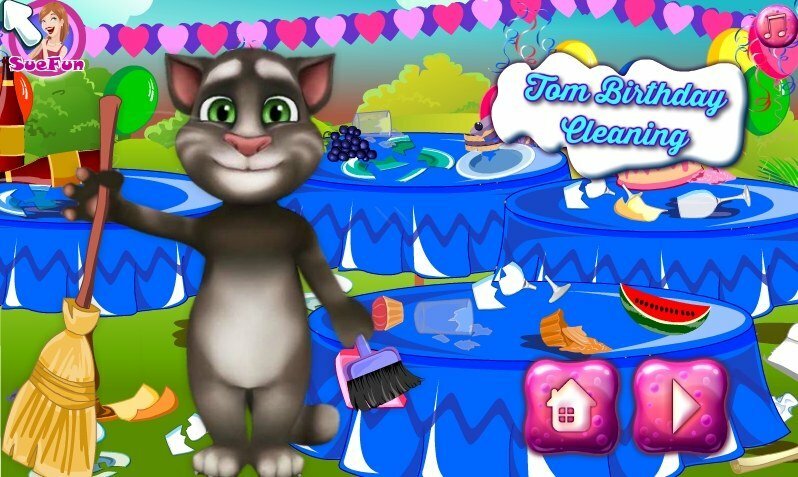 Help Tom to clean this mess.